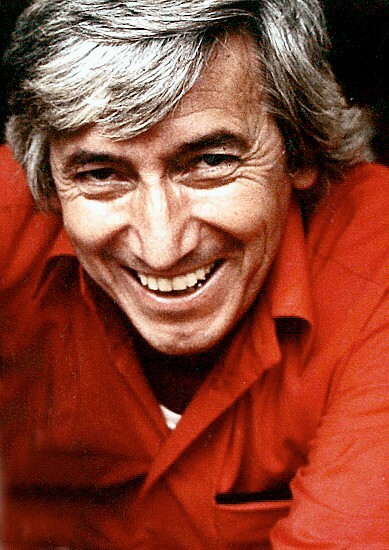 On 7 September 1978 Georgi Markov –an acclaimed Bulgarian dissident and writer living in London– walked across the Waterloo Bridge and waited for a bus to take him to his job at the BBC. He felt a sharp sting in his right thigh and whirled around to see a man picking up an umbrella from the ground. The man mumbled “I’m sorry” in a foreign accent and hailed a cab. Four days later, Markov was dead. Killed by a poisonous umbrella. Markov’s assassination may be the most “Bond-like” episode of the entire Cold War. But to chalk up the bizarre killing up as “just another Cold War hi-jinx” is inadequate. Markov’s murder epitomized the Eastern Bloc’s inability to stomach dissent. The totalitarian system –in this case Todor Zhivkov’s Bulgaria, with help from the Soviet KGB– eliminated Markov just as it had the millions of dissenters before him. Markov’s end was the same as his predecessors, but the means of his assassin were quite different. A month before his death, Markov received a phone call informing him that he would “die of natural causes, killed by a poison the West could not detect or treat.” His dangerous ideas would be extinguished when he died a “natural,” quiet, unremarkable death. But it turns out that it’s hard for a man to die an unremarkable death when the British tabloids catch wind that he was murdered on Waterloo Bridge by a poisonous umbrella. Likewise –as Diana Bancheva blogged about earlier this week– Bulgarians refuse to give up on the story. As they continue their dogged pursuit of the truth Bulgarian journalists and historians –using Bulgaria’s effective access to information law (see page 53)– have unearthed a trove of documents exposing and explaining the umbrella assassination. Foremost among these journalists is Hristo Hristov, who has written two books on Markov’s assassination, Kill the Wanderer and The Double Life of Agent Piccadilly. 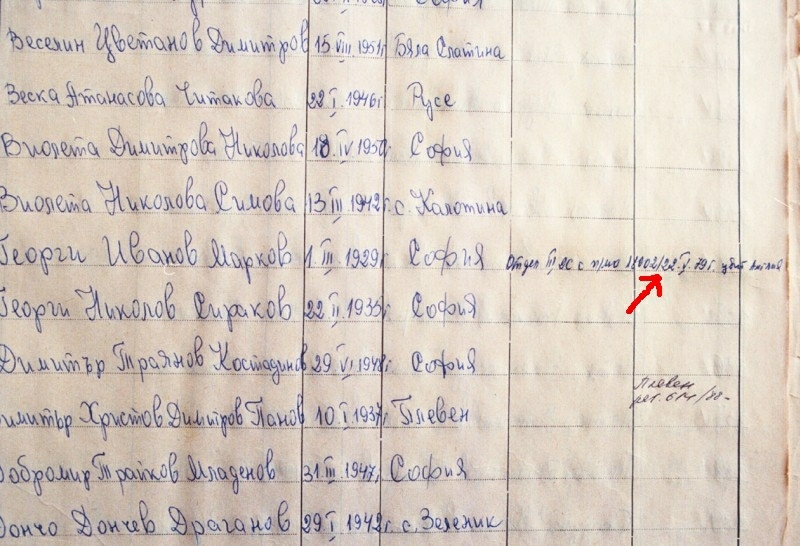 He searched the Bulgarian archives and found these documents –in Bulgarian and Russian– related to Markov’s assassination. To start, there was an agreement of cooperation between the KGB and Bulgarian Minstry of Interior, signed by the Bulgarian Interior Minister, Angel Canev as well as the head of the Soviet KGB, Yuri Andropov. This document, along with the complexity of the poisonous umbrella, shows that the Bulgarians relied upon Soviet expertise for the assassination. To me, the most chilling document is a secret decree agreed to in 1973 by the Political Bureau of the Central Committee of the Bulgarian Communist Party. The decree endorsed “harsh agent-operational activities [read: assassination]” of Bulgarian activists abroad. Another document identified Markov as an “enemy” and detailed his radio career abroad. Markov was not the only Bulgarian dissident targeted for assassination. A document listing Markov and other dissident “enemies” gives further insight. It names another Bulgarian dissident journalist, Vladimir Kostov. Kostov was the victim of a similar, but unsuccessful attack, in the Paris metro. Kostov and Markov had identical poisonous pellets inside of them. A possible schematic of the Poisonous Umbrella. The pellet was originally found when a doctor cut a chunk of skin from Markov’s thigh and began slicing it. It was the size of a pinhead (1.52 millimeters) and was constructed from an alloy of platinum and iridium. This alloy was chosen because would not cause an immune rejection. It had two tiny holes bored into it which could only have been done using a laser. Inside these holes was about a fifth of a milligram of poison. It was likely sealed inside by wax –which melted when it was warmed by Markov’s body heat, released the poison, and killed him. The poison which killed Markov was ricin, a deadly derivative of the caster bean. (Breaking Bad fans will remember that ricin played a key role early in season two.) Ricin kills with a slow and painful death. Markov succumbed to a fever as the ricin irreparably damaged his lymph nodes and caused hemorrhaging in his internal organs. Finally, four days later, Markov’s kidneys and heart failed. There were several investigations into Markov’s death, but none have brought Markov’s killer to justice. According to Hristov’s research, the killer was codenamed Agent Piccadilly. Agent Piccadilly was a Dane who had worked Bulgarian Intelligence since 1971. In 1977 and 1978 he made three trips to London; he was in London at the time of Markov’s assassination, and left the day after. Piccadilly was awarded medals for his service, and now lives freely in Europe. His name is Francesco Gullino. In 1993, former KGB General Oleg Kalugin stated he was present at the meeting where Markov’s killing was planned. Kalugin said that the order to assassinate Markov came from the leader of Bulgarian Communist party, Todor Zhivkov who wanted to silence his leading critic. The seventh of September –the day Markov was shot by the poisonous umbrella– was also Zhivkov’s birthday. On 7 September 1978 Georgi Markov -an acclaimed Bulgarian dissident and writer living in London- walked across the Waterloo Bridge and waited for his bus to his job at the BBC. He felt a sharp sting in his right thigh and whirled around to see a man picking an umbrella from the ground. The man mumbled “I’m sorry” in a foreign accent and hailed a cab. Four days later, Markov was dead. Killed by a poisonous umbrella. Markov’s assassination may be the most “Bond-like” episode of the entire Cold War. But to chalk up the bizarre killing up as “another hijinx by those wacky Commies” is inadequate. Markov’s murder epitomized the Eastern Bloc’s inability to stomach dissent. The totalitarian system –in this case Bulgaria’s Zhikov, with help from the Soviet KGB– eliminated Markov as it had with millions of dissenters before him. Markov’s end was the same as his predecessors, but his assassin’s means were different. A month before his death, Markov received a phone call informing him that he would “die of natural causes, killed by a poison the West could not detect or treat.” He would die a “natural,” quiet, unremarkable death; his dangerous ideas would be extinguished. But it turns out that it’s hard for a man to “die quietly” when the British tabloids catch wind that he was murdered on Waterloo Bridge by a poisonous umbrella. Likewise –as Diana Bancheva blogged about earlier this week– Bulgarian historians and journalists have refused to give up on the story. They continued their dog-eared pursuit of the truth. Now –using Bulgaria’s effective access to information law– journalists have unearthed a trove of documents exposing and explaining the umbrella assassination. Foremost among these journalists is Christov Christov, who has written two books on Markov’s assassination ***** and ****. 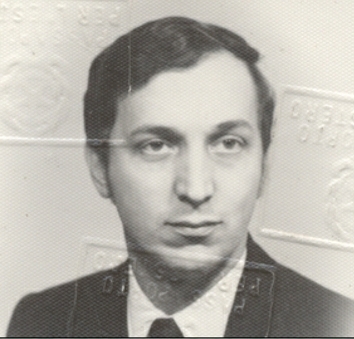 The documents –in Bulgarian and Russian– identified Markov as an “enemy” and detailed his radio career abroad. Christov also found an agreement of cooperation between the KGB and Bulgarian Minstry of the interior; it was signed by the Bulgarian Interior Minister, Angel Canev and the head of the Soviet KGB, Yuri Andropov. This document, along with the complexity of the poisonous umbrella, makes a strong case that Soviet expertise was relied upon for the assassination. To me, the most chilling document is a 1973 secret decree agreed to in 1973 by the Political Bureau of the Central Committee of the Bulgarian Communist Party which endorsed “harsh agent-operational activities [read: assassination]” of Bulgarian activists abroad. If you closely examine a list of enemy émigrés, you can read “22.05.79 killed in England” next to Markov’s name. A document listing Markov and other dissident “enemies” gives further insight into the assassination. The document also names another Bulgarian, ** Kozlov** who was the victem of a similar, but unsuccessful attack, in the Paris metro. Kozlov** and Markov had identical poisonous pellets inside of them. The pellet was origionally found when a doctor cut a chunk of skin from Markov’s thigh, began probing it, and hear found metal. It was the size of the head of a pin and constructed from a ***titanium** compound. This metal was probably chosen because it a form of metal not immediately rejected by the skin**. It had tiny holes bored in it which could only have been done by using a laser. Inside these holes was the poison which may have been sealed in by wax –which would melt due to the victom’s body heat and then release the lethal poison. In *** former the former head of the KGB Oleg Kalugin gave an interview stating that he was present at the meeting where Markov’s killing was planned. Kalugin claims that the order to assassinate Markov umbrella came from the leader of Bulgarian, Tidor Zhikov*** himself. *****29 September, the day Markov was shot by the poisonous umbrella, was also Zhikov’s birthday. “Tidor”? That’s a funny way of saying “Todor”.